The deadline for placing an advanced catering order is 1:00 PM, two (2) business days before your event. If you miss this deadline, you may order off the limited selection day of event menu inside your suite. You are all set to cheer on the Florida Marlins from a private suite inside Marlins Park, but don’t forget to order catering! 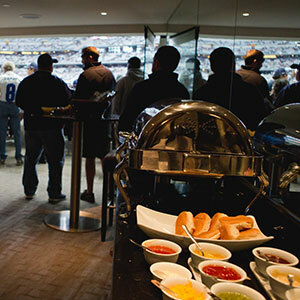 Gourmet food and drinks served in your private suite is one of the perks that makes attending an event in a suite so amazing. You and your guests won’t waste time in concession stand lines. You don’t have to leave the suite at all! Catering allows you to choose exactly what you want to eat and drink from options not available to anyone else in the park. Live like kings in Marlins Park with catering brought to your suite throughout your game or event. 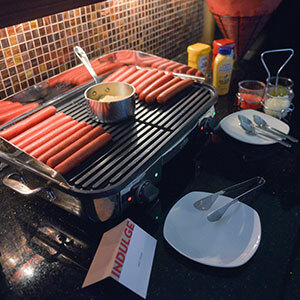 The executive chef in Marlins Park has put together menu options that are truly unbelievable. 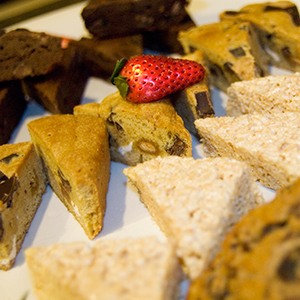 There are catering packages designed that include snacks, entrees, drinks, and more. The catering staff is more than happy to work with you to plan a custom menu for your party including top shelf liquors and craft beers if you so desire. Why would you want to wait in line for a concession stand? Enjoy the privacy and luxury of your suite with incredible catering options. 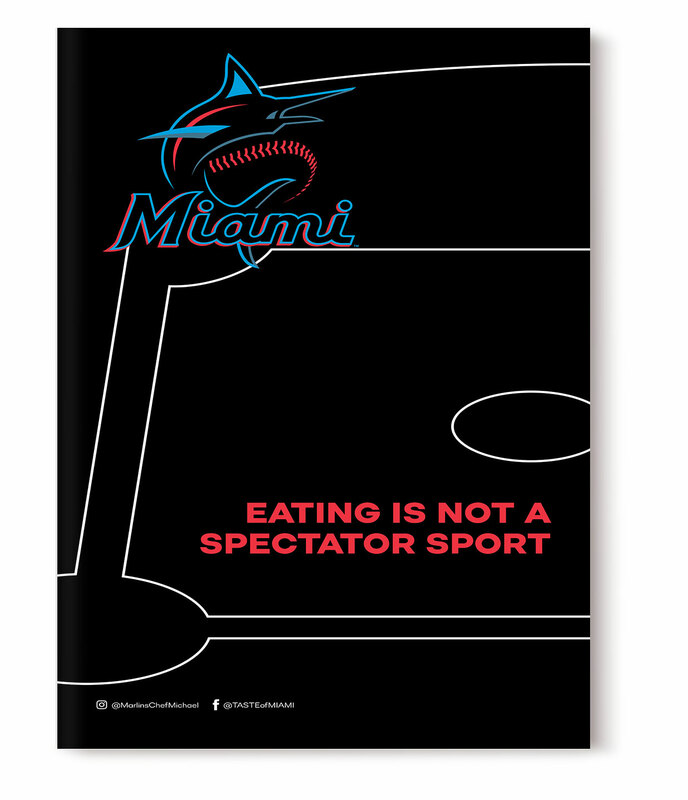 Use the Marlins Park catering guide created by SuiteHop to get you started with your catering order. You do not want to miss this perk! If you are not sure how much to order, there are tips for feeding a group as well as lots of other information and FAQs inside the guide. 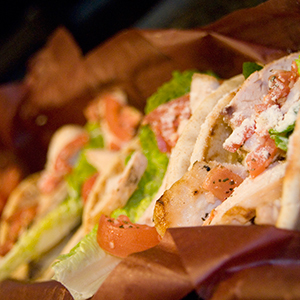 The easiest way to order catering is to use the suggested order from the experts at SuiteHop. They have already filled the form out for you. Just sign it and turn it in. Your luxury experience in Marlins Park should be stress free and with catering ordered ahead of time, it will be! Marlins Park catering is a complex and confusing process. To help extend your catering budget, we recommend selecting family style items (such as pulled pork) instead of individual portions (steak). Most catering menus, including those at Marlins Park, require a minimum order of 6 portions. You do not have to order portion for every guest you are expecting to attend. This menu is based off the 2019 Marlins Park Suite Catering options. Items are subject to availability. Don’t be left in the dark about the complexities of a catering order and end up with a surprisingly expensive bill at the end of the evening. 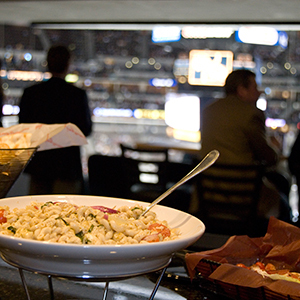 We’ve put together a list of our top Suite Catering Tips for Marlins Park. Gratuity is not included. Service fees are not considered gratuity for your suite attendant. If you miss the catering deadline, you will be able to order off of the day of event menu. These menus are often a smaller selection. Catering portion sizes may be misleading. As a rule, you may not wish to order a serving for every guest in your suite. Family style items, like fajitas or pulled pork, can often serve a larger group. We recommend ordering for a max of 12 guests (when planning a 20 person suite) and determining if additional items are needed during your event. Don’t miss the ordering cut off for additional alcohol. 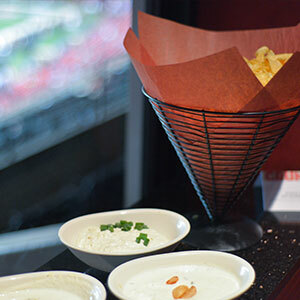 Your suite attendant may notify you of last call, typically during the 7th inning. Important note: There is no refund for food or drinks that is not consumed. We recommend ordering conservatively and paying attention to what your guests are consuming before reordering. The deadline for placing an advanced catering order is 2 business days before your event by 1:00PM. If you miss this deadline, you may order off the limited selection day of event menu inside your suite.